In a move that illustrates Facebook’s continuing focus on video content, the social media behemoth released Watch yesterday, which will replace its Video tab and will shift the focus away from spontaneous viewing to cater to the deliberate viewing of original episodic series called Shows. 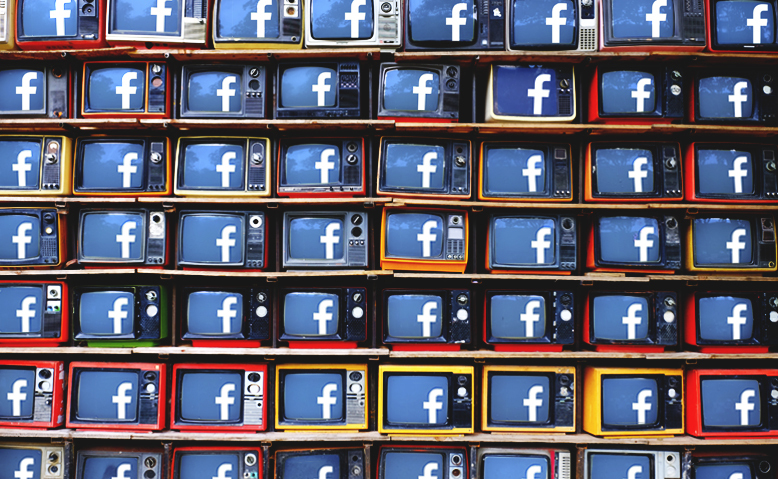 How will Watch impact brands looking to engage Facebook’s two billion users? We’re breaking down what we know right now, our predictions for the future, and how we see Watch fitting into a brand’s inbound strategy. For now, Watch will live inside of Facebook, with a gradual rollout to all users. Watch will be available on mobile app, desktop and laptop, and TV apps. Show Pages, like business Pages, will help viewers understand what a show is about and offer interactions similar to a business page: like, follow, share, plus the ability to see past episodes. Sections like “Most Talked About,” and “What’s Making People Laugh,” are aimed at keeping viewers up to date on what their friends are watching, as well as allowing viewers to react to videos, as we’ve all become accustomed to doing within our newsfeeds. Viewers can follow Shows, and new episodes will appear in the Watchlist section, ensuring that viewers will never miss a show, similar to the “subscribe” feature on YouTube. Watch will focus on longer format, episodic video Shows created by publishers, celebrities, and digital video creators. Half-hour programs will roll out later this year, as well as shorter “spotlight” series with episodes running 5-15 minutes. Shows that will soon be available on Watch include original series from partners like Tastemade, Mashable, Refinery29, and more. Tastemade, for example, is producing not just one series, but six, including “Kitchen Little,” which has kids directing professional chefs on how to follow a recipe, often to hilarious effect. Opportunities for Shows include series that engage a fan base, such as that of a celebrity or a brand with a cult following. Live shows promise to be a prominent segment of content, including series created by publishers and digital video producers, as well as the broadcasting of sports/events. Facebook has included a community element to Watch, taking a cue from the crop of browser extensions that popped up to allow Netflix users to watch together. On Watch, viewers can comment and participate with friends while watching a show, or even participate in a dedicated FB Group for a show. Mid-roll Ad Breaks offer an opportunity to monetize shows. Creators will get 55% of ad roll revenue, FB will keep 45%. Creators can also develop sponsored series using the branded content tag. Wondering if you’re one of the select users who already has it? If you see a TV-shaped icon on the bottom navigation bar of the Facebook app, you’re one of the lucky few. No luck? Keep an eye out over the coming weeks as Watch rolls out. For now, Watch is only available within Facebook. But depending on the success of Watch, it’s likely Facebook will scale Watch to a standalone app. Facebook has consistently referred to Watch as a “platform,” indicating the company is making assumptions about the future potential. Given that Watch currently offers show creators access to Facebook’s native audience of two billion users, the platform certainly offers greater exposure than YouTube. Another ace card in the back pocket of Watch is that as long as they ensure high-quality content is being produced, for viewers, free content could trump the monthly fees charged by Hulu/Netflix/Amazon Prime. However, given that Facebook will have to monetize Watch through ads and sponsored content, it remains to be seen how users accustomed to commercial-free viewing on Netflix will react to the mid-roll ads that will most certainly be a part of programs. One hurdle we see in Watch’s future lies in Facebook’s aging user base. As Boomers have hopped aboard the Facebook bandwagon, Millennial and Gen Z cohorts have decided to network socially on platforms where digitally awkward parents, aunts, uncles, and even grandparents aren’t lurking. However, Watch is a decidedly Millennial/Gen Z-friendly way to view original video content. Is this Facebook’s latest ploy to win back younger users who abandoned the platform – and steal market share from YouTube, all in one fell swoop? We wouldn’t put it past Zuck. Create a “spotlight” series aligned with brand content strategy, with episodes that focus on the same topics we would pitch as blog posts. A cooking show demonstrating recipes using the product. Branded content to increase consumer trust and loyalty through transparency, i.e. a tour of an organic farm where ingredients are grown or the plant where a product is produced. Advice on living the best organic lifestyle – how to master the Farmers’ Market, why organic matters, how to grow an organic home garden, and so on. Combine a live broadcast with any brand activations. For example, go live from brand activation at Coachella with a performer. If producing your brand’s own series is too time/cost intensive, partner with Show creators as you would an influencer to produce sponsored content, offering your brand access to an existing audience well aligned with your brand. The brainstorming has been fast and furious here at the Catchfire office since Facebook’s Watch announcement yesterday – we can’t wait to see how content creators respond to this new opportunity, what kind of Shows prove to be popular, and how users react to Watch. As Watch rolls out in the coming months, we’ll also be watching to see how quickly big brands scramble to activate their own Watch content strategies. Worried your brand is going to miss out on the chance to be a breakout star on Watch? We can help with that. When it comes to Facebook Watch, we’re staying tuned.